A learning playground for over 260 entrepreneurs from over 40 counties, held on a paradise Island in Phuket, Thailand. When you say you have just got back from an event called Awesomeness Fest, people usually react in one of two ways. Either saying “Wow, that sounds epic..” or “What? What is that all about..”. The people who react in the first way, this post is probably for you. 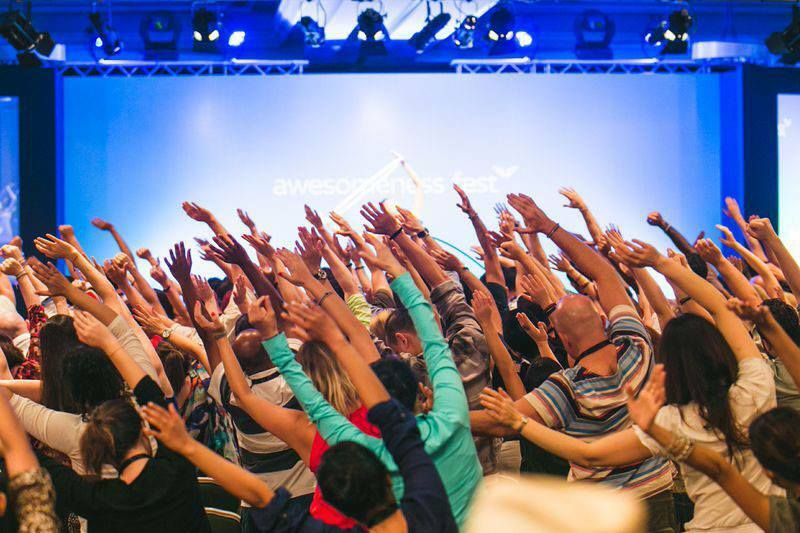 Awesomeness Fest is described as the ultimate transformational experience for entrepreneurs. It attracts people who are passionate about making a big difference in the world and are committed to their own development in order to magnify their efforts. I for one, resonated with their mission and couldn’t wait to join in! Mindvalley are the mastermind behind A-Fest, a Publishing company based in Kuala Lumpur led by founder Vishen Lakhiani. In the opening introduction, Vishen jokingly explained than in addition to wanting to bring together great minds to make a difference in the world, he also did it because he was bored! Apparently building several multi-million dollar companies isn’t enough to keep him occupied! Mindvalley have grown from a $700 company to one with over $20m in revenue in under 10 years. They are breaking the rules of how organisations should be run and on target to achieve their vision of being the world’s greatest workplace by 2020. Their energy and passion that went into the event was magnificent! I have followed the work of Mindvalley for the past few years and heard about Awesomeness Fest at the beginning of 2012. As soon as I read about it, I knew I had to go there! At the time I didn’t feel I was in the right place to make the most of the investment. So I waited two years. This year it was! As someone committed to advancing businesses, shifting organisational cultures and on a personal journey committed to self mastery, it was an easy decision. I also wanted to give myself time and space to reflect on my journey so far and gather new inspiration for the year ahead. Celebrate my success so far and the journey I have been on! Learn more self mastery techniques around meditation and concioussness hacking as Mindvalley would say! What makes it so transformational and awesome? One thing that is hard to fully appreciate is the value of such conversations that take place at events like this. It is carefully designed to strike the perfect balanced between mind blowing content and down time to connect with the other delegates. Some of this is indoors in workshop settings and other times it is on a private island with sunshine, music and great food! As Khilee Ng put it, a highly successful tech entrprenuer “I can easily dance and talk business at the same time”. Awesomeness Fest was that kind of place. It attracts people who are on different places on their journey, some are self employed, others run companies and a huge portion are on the cusp of venturing to do their own thing. The one thing everyone has in common is they are open minded and love to be inspired. The big secret at the events is to do way more listening than you do talking! The people I met over the 5 days were amazing. So amazing that I planned an extra 8 days to stay in Thailand because I knew there would be so much value in building great relationships and learning as much as I could squeeze in. And celebrate general awesomeness in a beautiful setting of course! High of the list of expectations when you travel to other side of the world is world class speakers and content that leaves your mind running for days. Mindvalley certainly delivered! The days were structured into TED style talks and mini practical workshops. This year’s speaker line-up included the profound Lisa Nichols, life coach Kute Blackson, motivational speaker Sam Cawthorn, Vishen Lakhiani himself and entrepreneur Khailee Ng. One of the great things about the event is the speakers are not looming behind a backstage curtain or fly in 5 minutes before they are on stage. The speakers fully embrace the event, sit in the audience to learn and engage as everybody else does in the time around the sessions. This level of openness really set the tone from the beginning. Most people there will connect with different content and find different people with resonate with what they want. But what I found unanimous was people’s appreciation for the speakers who were authentic and clearly stamped their own style on their talk. 1. What was your personal highlight? The Angel walk activity by Lisa Nichols. So real and transformational. Thanks to Margaret for a magic beginning to it! 2. What was your biggest take away? To fully own my way of doing things. To be confident the world needs my brand of magic! 3. Who was your favourite speaker? Lisa Nichols. I felt she was so connected to the audience and everything she said resonated deeply. 4. What was the funniest moment? Inventing the crab dance on the last night. Whilst on a private island we laughed for hours with an idea that is powerful beyond measure. 5. Was it worth the time and money? Absolutely. Investing in your education is invaluable. The format was brilliant and the setting made it extra special. It definitely exceeded my expectations and the people I met I’m sure I will work with many of you in the near future!